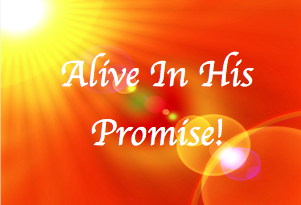 WJOF: Alive In His Promise! We recently learned how we were created for the purpose of bringing glory to God! This is His promise for those who follow and love Him. However, sometimes we can go through trials and opposition that seem to contradict this promise. What most believers fail to understand is how we handle these trials and how opposition shapes our character to fulfill this purpose. Some trials are self-inflicted. In other words, they are brought on by our own bad decisions, wrong attitudes, selfish motives, or character weaknesses. These types of trials will continue until we recognize the true condition of our hearts, repent, and become humble and pliable under the mighty hand of God. However, the Bible says trials and opposition will come even when our hearts are pure and right with God. How do we Biblically handle it when these trials come? James 1:2-4 "Count it all joy, my brothers, when you meet trials of all kinds, for you know that the testing of your faith produces steadfastness. And let steadfastness have its full effect, that you may be perfect and complete, lacking in nothing." Hold on to His Promises: This doesn’t mean we deny our feelings, circumstances, or problems. What it does mean is that we choose our thoughts and actions to reflect what God says over anything else. Persevere with Praise, Thanksgiving, and Prayer: When we choose to praise, give thanks, and follow after God whole-heartedly in the midst of difficult circumstances we are demonstrating the character of Jesus Christ. This is showing God that we will be steadfast and faithful regardless of difficulties! Rom 12:1 "I appeal to you therefore, brothers, by the mercies of God, to present your bodies as a living sacrifice, holy and acceptable to God, which is your spiritual worship." In order to bring glory to God, we must become Christ-like and follow His examples of overcoming trials and opposition. Jesus did many things to cultivate His perseverance in difficult times and protect God’s promises in His life. He took time in prayer (LUKE 5:16) and made faithful obedience His main priority (JOHN 5:19). He kept fellowship with those the Father gave Him (JOHN 17:6–12), and He kept His promise ever before Him (HEBREWS 12:2). Dear sisters, if you are going through tough times, I urge you to not let discouragement and disappointment rule in your life. Rather, stay focused and Alive in His Promises. As you do this, trials will dissipate and be replaced with joy, strength, and faith! Heb.12:1-2 "Therefore, since we are surrounded by so great a cloud of witnesses, let us also lay aside every weight, and sin which clings so closely, and let us run with endurance the race that is set before us, looking to Jesus, the founder and perfecter of our faith, who for the joy that was set before him endured the cross, despising the shame, and is seated at the right hand of the throne of God." Good blog....thanks for the encouragement and reminder of what the Bible says to do. It's easy to forget! Who hasn't gone through trials? Your right- we need to focus on what God says about the situation. Too many people get depressed and discouraged going through things. Remember this too shall pass!